News | Abuja International Photo Festival: What To See And Gain At The Festival . 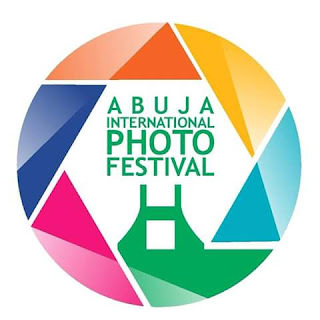 As preparations get under way, the organizers of the forthcoming Abuja International Photo Festival have released the official schedule of activities for the 5-day event. The International Photo Festival is centered primarily around 4 key areas which are Seminars and Dialogues, Trainings, Exhibitions and Awards. Pictures are a powerful tool of human communication and very effective when initiating a social change. The annual event, which brings together the best and brightest of photography in Nigeria and beyond, is aimed to raise the bar of excellence in the practice of the art of photography, showcase the works of detailed efforts, create a cross border community of contemporaries and celebrate the up and coming, the best and legendary individuals among photographers. The purpose is to scale up the level of conversation around photography and take home its relevance as a tool to create a better world. All activities will hold at the Sheraton Hotel and Towers, Abuja, and is scheduled to last for five days, from 12th to 16th, 2017 at varying time schedules. Tuesday September 12, which is the first day of the festival, will witness “photo walk and awareness exhibition” between 9: 00 am and 5:00pm while opening ceremony, workshop and exhibitions are fixed for Wednesday 13th September, 2017 by 9:00am. The first “Master Class” for two hundred (200) photographers comes up on Thursday 14 September between 10:00am and 4:00pm. Similarly, another Master Class for two hundred (200) photographers will hold on Friday 15 September, from 10:00am to 4:00pm. Awards, as well as “Gala Night” – Photography meets Entertainment – holds on Saturday 16th September, by 6:00pm.